Google Launches AdWords App For Android-Now available for download in the Google Play store. This is the first time Google has launched a native app for monitoring and managing AdWords campaigns. When you launch it, you’ll see a dashboard view that offers a snapshot of the primary metrics: impressions, clicks, click-through rate as well as cost and conversions. You can dig in to metrics by ad group, day of week and device. 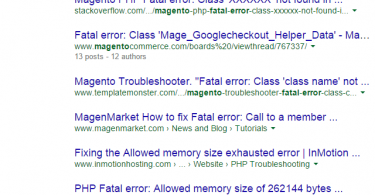 Is Google Testing Search Results Without Descriptions ?